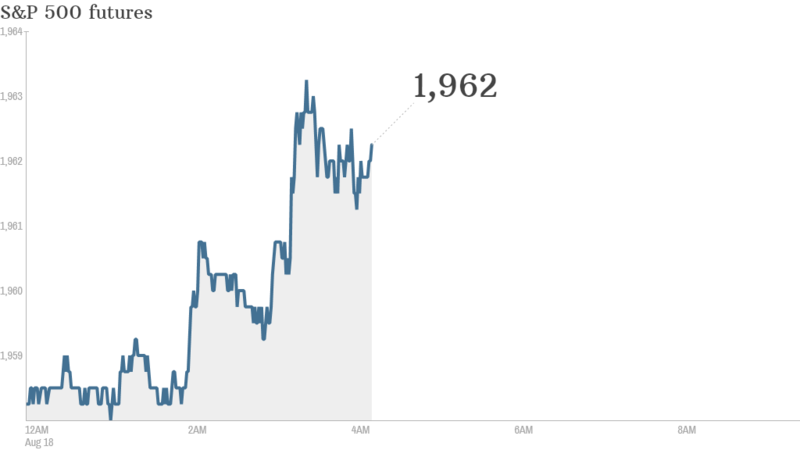 It looks like markets could rise Monday, buoyed by an easing of tension over Ukraine. 1. International markets strong: European markets were all surging in early trading, with the Dax marching 1.5% higher. The German foreign ministry reported "some progress" in talks Sunday with Russia and Ukraine. U.S. stock futures were edging up in the early hours. Asian markets mostly ended with gains. 2. Stock market movers -- Monster, Time Warner: Shares in Monster Beverage (MNST) were under a bit of pressure Monday after the stock surged by 30% Friday. Investors were excited last week when Coca-Cola (KO) announced it was buying a large stake in Monster. Shares in the energy drinks company were declining by about 1% premarket. Time Warner (TWX) shares were up 1.6% but are still 12% down on the month after Rupert Murdoch's 21st Century Fox (FOXA) walked away from a takeover bid. 3. Earnings and economics: The National Association of Home Builders will release its latest monthly stats on the U.S. housing market at 10 a.m. ET. Retailers Urban Outfitters (URBN) and American Apparel (APP) are expected to report earnings after the closing bell. American Apparel delayed its results to give its new board extra time to review the firm's financials. The company has been in turmoil since its controversial CEO Dov Charney was ousted in June. 4. Friday market recap: U.S. stocks closed mixed Friday. The Dow lost 51 points and the S&P 500 also landed in the red. The Nasdaq edged up 0.3%. But for the week as a whole, the three major indexes all locked in gains.